The loss of life during the Crimean war was considerable, but many of those who died did so as a result of disease. Even before the first significant battle of the war, in September 1854, the allied forces found their numbers depleted by a wave of fever and cholera. During the second Battle of Ypres, 25 year old Acting Corporal Issy Smith of the First Battalion of the Manchester Regiment rescued injured soldiers in the face of unrelenting fire. As a result of putting the safety and welfare of his fellow comrades before his own, Issy Smith was awarded the Victoria Cross, the highest military honour a soldier can receive. After the decisive victory at the Battle of Vitoria on 21 June 1813, Wellington’s forces moved towards the western Pyrenees and lay siege to the fortress of San Sebastián. A full scale assault was attempted under Lieutenant General Sir Thomas Graham on 25 July, but the fortress proved a difficult target and the assault was beaten off. After heavy bombardment created two breaches in the walls, a second assault was attempted on the 31 August. However, the main breach, located near the southeast corner of the fortress, was defended by heavy fire. Waves of British soldiers were cut down until Graham ordered the artillery to fire over the heads of the assailants, clearing the ramparts. After a shell hit a quantity of powder, the storming party took advantage of the devastation and confusion to force its way into the town. “…the whole of the numerous fire barrels, live shells, hand grenades, and other combustibles, which the garrison had arranged along the ramparts for the close defence of their traverses and interior works, caught fire, and igniting in succession caused a number of explosions along the whole extent of the high curtain, killing and wounding many of the defenders, and throwing the others into the greatest confusion. In the first few days of September 1939 over three million people were evacuated from Britain’s cities and towns. The majority of them were schoolchildren. The relocation order was given at 11.07am on 31 August 1939, but in the days prior to its issue schools had been rehearsing the evacuation procedures. In the autumn of 2013 Bry Martin, a doctoral candidate at the University of Notre Dame, visited the Archives to conduct research for his dissertation, titled “The Power and the Country: The Earls of Shaftesbury, 1621-1885”. In the passage below he discusses his experience exploring the Broadlands Archives, including examining the relationship between Henry John Temple, third Viscount Palmerston, and Anthony Ashley-Cooper, seventh Earl of Shaftesbury. “Regency and Victorian Britain, torn by the new money and social squalor of the Industrial Revolution, ascendant in the muscular imperialism of a renewed empire, and expansive in its commercial and financial power, rested in the uncertain grasp of a relatively small number of gentlemen and their families. Yet those same families, and particularly those of the South, withstood a political, economic and social assault on many of their traditional roles and values. As organizers of the militia for the maritime counties, their role as Britain’s first line of land defense against a Channel invasion strained beneath the weight of a flourishing professional army and navy. As landed families living close to ports, an ancient interdependence between the covetous energy of the merchant and the staid balance of the manor teetered under industrial pressures of factory and credit. As farmers, rentiers, and politicians, the families of the South gravitated in the season to London’s lure of civil society, political participation, and fashion, but recoiled at its corruption, its slums, and its violence. Looking outward at Europe, the Atlantic and the world, exercising a statesmanship that would leave a British footprint in all of the above, these families also embraced and worried over the immemorial landed England of the country estate. There are few better windows into the lives and struggle of these families in the Nineteenth Century than the Broadlands Archives at the University of Southampton’s Hartley Library. 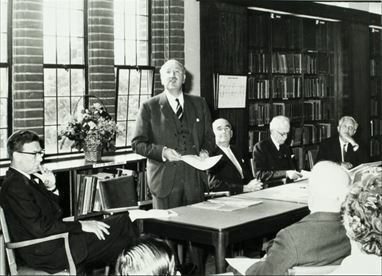 Organized around the papers, relations and correspondents of Henry John Temple, Viscount Palmerston, Prime Minister and Foreign Secretary, whose seat was the Broadlands Estate in nearby Romsey, the Broadlands Archives are a treasure of both the imperial and the intimate. At the highest level, Palmerston projected his conviction that every Briton should walk and sail the planet bound only by British laws wherever he or she went, and in domestic policy displayed a flexible liberalism, still rooted in the conservative politics of the early nineteenth century, but adaptable to changing times. 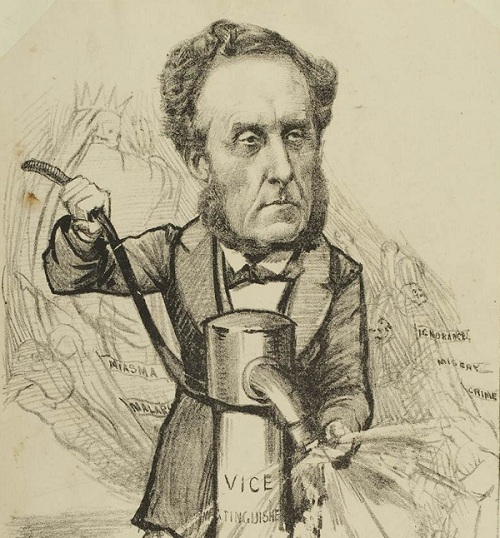 In his personal letters to his correspondents and family, including his wife and her children, Palmerston’s letters in the Hartley Library display his sense of pragmatic dispatch, eagerness to do favors for friends, a tolerance for sleights and annoyances, and a moral humility always watchful of the world to do his best on its terms rather than imposing his own. His wife Emily, the organizer of polite society’s calendar, buttressed her husband’s political power with a general empathy and courtesy that extended even to political enemies, however much it pained her to see her husband subjected to the sleights accompanying political life. I arrived at the Hartley Library, an American graduate student working on a dissertation about a different, but related family: the Ashley-Coopers, Earls of Shaftesbury. The Seventh Earl of Shaftesbury, the “Poor Man’s Earl” commemorated in Piccadilly Circus by its famous statue of Eros, married Lady Palmerston’s daughter, and the Hartley Library has an extensive archive of their family correspondence. Shaftesbury strikes a remarkable contrast to Lord and Lady Palmerston. More saintlike than benign, he was chiliastic in holding unwavering convictions in the face of approaching end times, nostalgic in his longings for the Ancient Constitution and the dissolving harmony of the manor, and inflamed by a near-depressive compassion for the suffering of Britain’s many down-and-outs: lunatics, factory workers, indigent children and street pedlars. That Shaftesbury and Palmerston could not only tolerate but admire each other is a small wonder of British character with big implications for British history. Together they moderated the sharp ideological divisions by which the old divide of Whig and Tory was transforming into that of Liberal and Conservative. The key to the personal chemistry, family affection, and political partnership of Palmerston and Shaftesbury lay in their papers at the Hartley Library. There, researchers may read of Palmerston’s continued, weary efforts to reward the cash-strapped Earl with lucrative offices, and the Earl’s refusal to take paid offices that could potentially force him to support even a friendly government against his own judgment. There, Palmerston consults Shaftesbury repeatedly and often decisively on matters ranging from whether Britain should pursue a Christian Zionist foreign policy with the Ottoman Empire to ecclesiastical appointments in the Church of England. In an age when duplicity and ladder-climbing was a given in politics, Palmerston seemed stunned into respect and trust by the selfless sincerity and naked emotion of Shaftesbury, just as Lady Palmerston had been when, as a bizarrely earnest and candid young man, he had courted her daughter. But also in the papers at the Hartley Library one can read Shaftesbury write his wife rebuking her mother’s worldliness and write his son bemoaning Palmerston’s placid flexibility and his religious ignorance. Later, he would grieve just as deeply for them, and never be quite so potent an influence on British political life in their absence as he had been when they had tempered his righteousness with their characteristic forbearance and tolerance for human frailty. There is much else indispensable for the understanding of Shaftesbury at the Hartley Library. Just a few examples are: the extensive diaries he kept for most of his long life; a pained correspondence about electioneering in 1830s Dorset; letters registering the family heartbreak as they reeled from the premature deaths of children; and the affectionate humor of his surviving children at their intense, old-fashioned father. The Seventh Earl of Shaftesbury presents only the final generation of my study of a great British family, a study detailing the family’s central place in British “country” politics, opposing traditional local institutions to emerging modern pockets of power that threatened their independence and traditions. For most of two centuries, the Earls of Shaftesbury played a leading part in British “country” politics, Whig or Tory. The Hartley Library has been enormously helpful in providing an important archival basis to one of the most remarkable generations of the family. Independent India and Pakistan came into being on 14/15 August 1947. The end of empire, what was termed the “transfer of power” from the British perspective, came in carefully managed ceremonies, in Karachi on 14 August at the Legislative Assembly; and at Delhi on 15 August. After attending the ceremony in Karachi, Lord Mountbatten, the Viceroy, flew back to Delhi on 14 August. Late in the evening a resolution was passed proclaiming independence and inviting Mountbatten to be the first Governor General of India. The University of Southampton is the home of the Broadlands Archives (MS 62) which include the papers of Lord and Lady Mountbatten. These Mountbatten papers contain material both of national and international significance, with approximately 250,000 papers and 50,000 photographs. 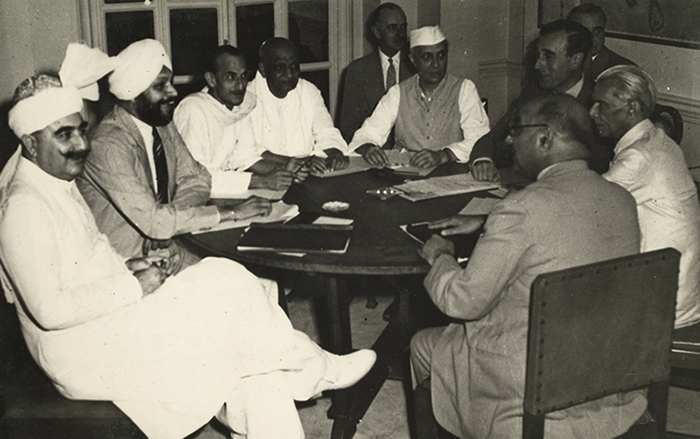 A unique view of the transfer of power in India is provided by Mountbatten’s official papers as the last Viceroy of India. Further material can be found in the archive of Alan Campbell-Johnson (MS 350). In February 1947 Campbell-Johnson became the press attaché to a Viceroy of India, accompanying Lord Mountbatten to India and remaining with him throughout the transition of power and Mountbatten’s time as Governor General of India. Tace Fox worked as an archivist in the Special Collections Division from October 2013 to June 2014. In the passage below, she describes her experience cataloguing the papers of the Arthur Wellesley, first Duke of Wellington, and Henry John Temple, third Viscount Palmerston. 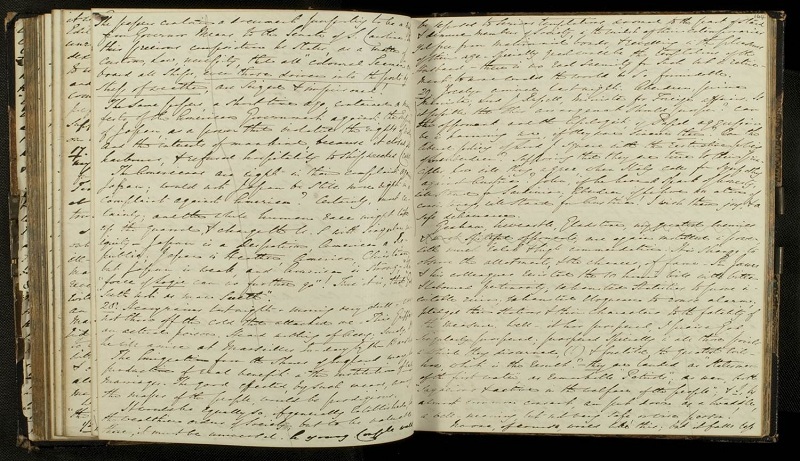 “My main project since becoming an archivist at Southampton University Special Collections has been to catalogue Wellington Papers from 1815, part of a project to mark the Battle of Waterloo next year. This has involved creating descriptions for correspondence leading up to the battle and those directly after. These are both letters to and from Field Marshal Arthur Wellesley, first Duke of Wellington. I can’t really say there were any downsides to this project, although there was a lot of French translation involved which has been a challenge at times for me (I would like to be able to claim fluency now but unfortunately…). A lot of contextual research was necessary to understand the history surrounding the Napoleonic Wars and the early nineteenth century. Also training in relation to the peerage system and military ranks was undertaken to ensure we captured the correct position and titles of the individual we were discussing from the letter at that point in history. This project has been a fascinating learning curve and I’ve enjoyed every minute of it. I’m glad to have played a part in bringing this information to the public through our catalogues and database.